The marvelous walrus ivory carving of the handle depicts the feared Nordic Wolf of ancient legend. The guard is fine grained elephant ivory, and the separator is desert ironwood. 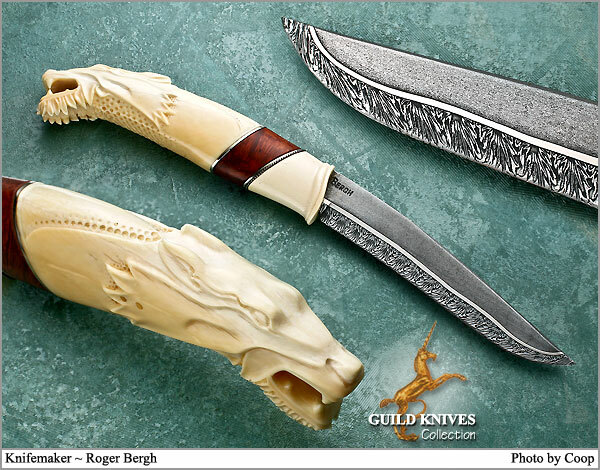 Forged three-bar damascus blade by Roger.